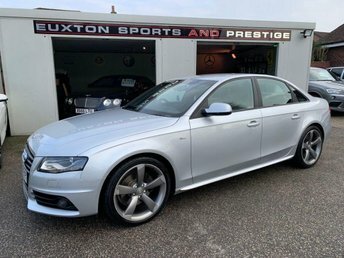 Upgrades - Heated Front Seats, Comfort Package, Standard Features - Electronic Climate Control, 18in x 9J 5 - Double Spoke Design Alloy Wheels with 245/40 R18 Tyres and Locking Wheel Bolts, Anti - Theft Device - Thatcham Category 1 Approved, Concert Radio with Single Front - Loading CD Player, MP3 File Compatibility and Active Front and Rear Speakers, AUX - IN Socket, Drivers Information System (DIS), Electric Front Windows, Leather/Alcantara Upholstery, Mobile Telephone Preparation - Bluetooth Interface, 3 - Spoke Flat - Bottom Leather - Steering Wheel, 3x3 point rear seat belts, Air conditioning, Airbags, Alarm, Alloy wheels, Anti - Slip Regulation (ASR) Traction Control, Anti Lock Brake System (ABS), Body Coloured Bumpers, CD Player, Central Door Locking Remote, Central locking, Child locks & Isofix system, Cruise control, Door Mirrors - Electrically Operated and Heated, Drivers Airbag, Electric door mirrors, Electric windows, Electronic Differential Lock (EDL), Electronic Stability Programme (ESP), Folding rear seats, Front Centre Armrest, Front Floor Mats, Front Fog Lights, Front ISOFIX, Front Passengers Airbag with De - Activation Switch, Front Sports Seats, Head Restraints Front and Rear, Headlight Washers, Heated seats, Height adjustable drivers seat, Immobiliser, Leather seats, Lumbar support, Matt Brushed Aluminium Inlays, Multi - Function Steering Wheel for Audio, Multifunction Steering Wheel - Audio with Gear Shift Paddles, Parking aid, Power steering, Radio, Remote central locking, Retractable Rear Spoiler, Satellite navigation, Servotronic Steering - Power - Steering with Speed - Dependent Control, Side Airbags for Front Seats, Split - Folding Rear Seats, Sports seats, Sports Suspension, Steering Wheel Adjustable for Height and Reach, Sunroof, Third Brake Light, Traction control, Tyre Mobility System. 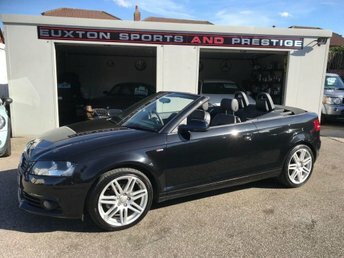 4 seats, HEATED SEATS + REAR PARK ASSIST + COMFORT PACK + XENON HEADLIGHTS + 1/2 LEATHER S LINE INTERIOR + NICE EXAMPLE THROUGHOUT. , HEATED SEATS + REAR PARK ASSIST + COMFORT PACK + XENON HEADLIGHTS + 1/2 LEATHER S LINE INTERIOR + NICE EXAMPLE THROUGHOUT.